Flora Fuji Apartment is a real estate project. The apartment is appreciated by the special position along with harmonious design with nature space to deserve Condominiums series of Japanese style. 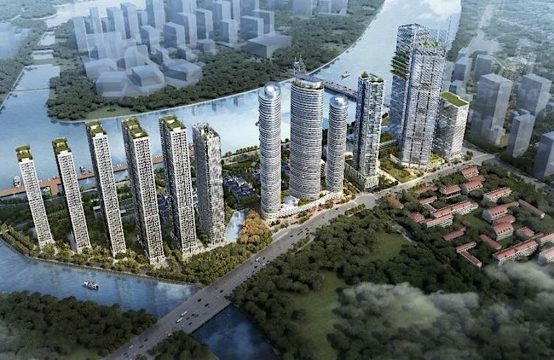 The real estate market in Ho Chi Minh City is increasingly heating up with the appearance of a series of big projects such as Vinhomes Ba Son, Vinhomes Central Park, The Sun Avenue, Xi Grand Court hay Ha Do Centrosa Garden. In addition, other projects are getting the attention of experts and real estate investor is the Flora Fuji apartment in District 9. It is located in the Fuji Residence new urban area along with Fuji Valora classy villas, Flora Fuji are making change real estate market in the East of the city. Flora Fuji is the name of project to bear a stamp of Japanese because it is associated with Fuji mountain symbol for the country of the rising sun and one of the three holy mountain in Japan that is Fuji, Haku and Tate. In particular, Fuji Mountain is located in southwestern of Tokyo, is the most famous mountains. Therefore, the name Flora Fuji is representing the species flowers bloom on the mountain, flowers are not only attractive but also lasting, beautiful and resilient. It’s sending the message of the investor would like to bring to the customer the exquisite apartment, quality durable throughout the years along with the soft, luxurious and harmonious design with nature. Flora Fuji Apartment is a real estate project that is highly appreciated by its special position, together with its harmony with natural space and Japanese style. 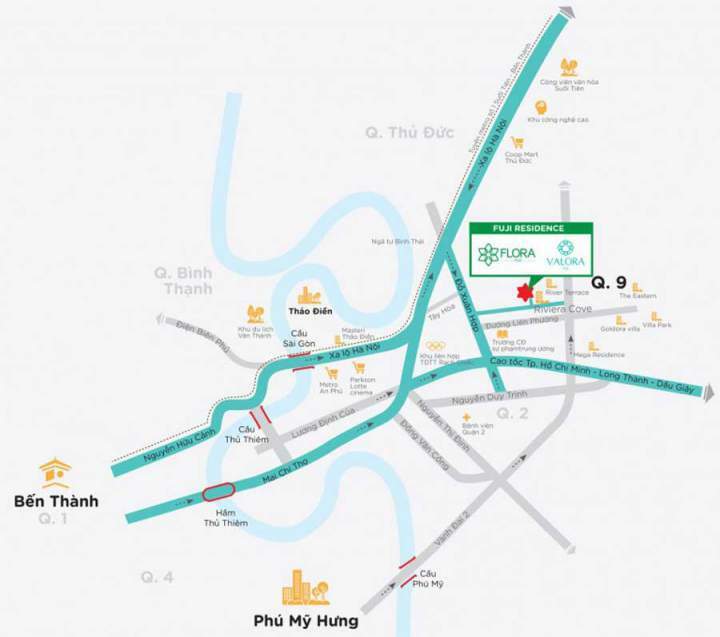 Flora Fuji Apartment is the project of Nam Long investor, a famous brand for nearly 25 years in the real estate market with the launch of a series of projects suitable for most customers’ money and resolve difficult problems in housing today such as EHome, Flora or Bridgeview projects. In addition, the combination of two other major brands from Japan that is Hankyu Realty and Nishi Nippon Railroad has a history of development over 100 years. 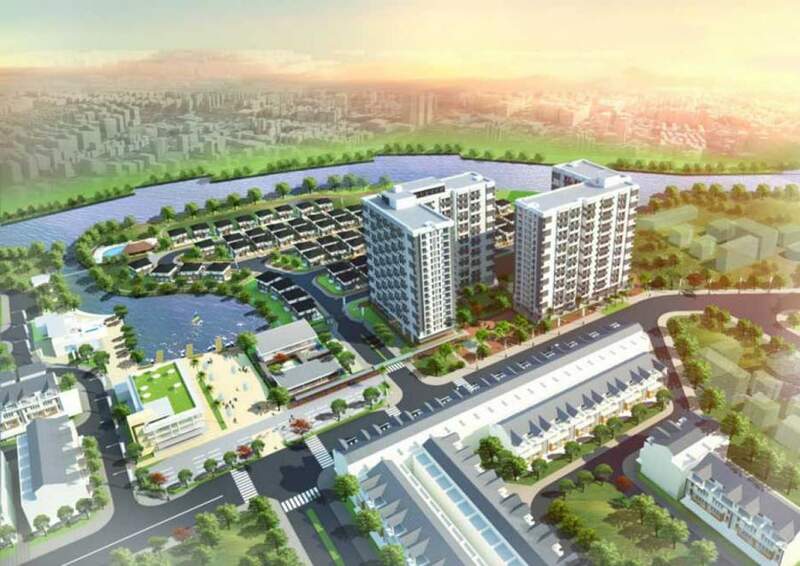 Flora Fuji District 9 is the second project combine Nam Long with two big Japanese giants with larger scale, multiform products and more investment after the successful of Flora Anh Dao project. 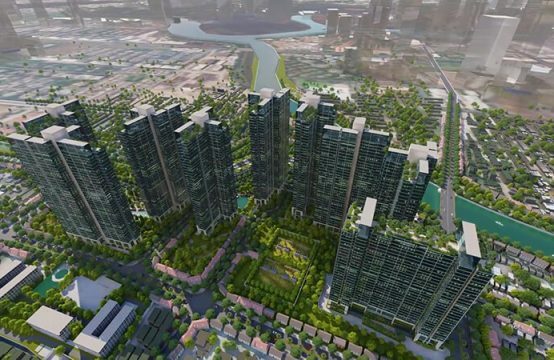 Nam Long’s market insight with the experience of Hankyu Realty and Nishi Nippon Railroa help customers can be assured quality and progress of Flora Fuji project. At the same time, the apartments have high standards about living space and ideal can satisfy the most fastidious customers. Flora Fuji Apartment is separate apartment Condominium has designed of Japanese style with an area of is the only compact from 54 to 67 spm meet the different needs of the customers. The highlight of the design style of the apartments is the optimal living space through the layout of the room, calculate the functions each area along with interior decoration. So that the apartment in the project Flora Fuji Nam Long District 9 is always airy, never feeling cramped and always warm. Besides, the apartments in Flora Fuji are designed in the style of Japan also ensure harmony with nature thanks to intelligent design take light and natural wind, particularly, the sliding glass door system offers wide viewing and giving natural light to every corner of the room. The Flora Fuji flora project is inspired by the Japanese mountainous Fuji that sends messages about a refined apartment with outstanding quality and harmony with nature. Not only that, the Flora Fuji apartment in District 9 also have differences is in the isolation and make sure security compared with other Condominium apartments project. 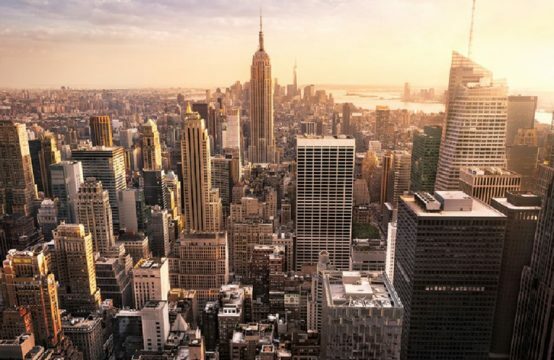 In particular, the security system of the apartment is secured 24/24 with modern equipment such as magnetic card for the elevator and each apartment, video phone, security camera along the hall and public areas. It contributes to bring a full life, to meet the needs of the residents about modern living space, fresh and positive living values deserve the ideal residence with families. 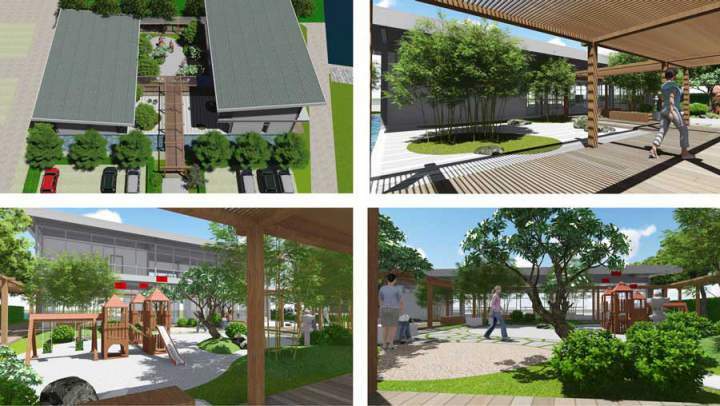 Besides the design of apartments in Japanese style, Flora Fuji Nam Long apartment project also brings the residents of ecological natural space filled with green. 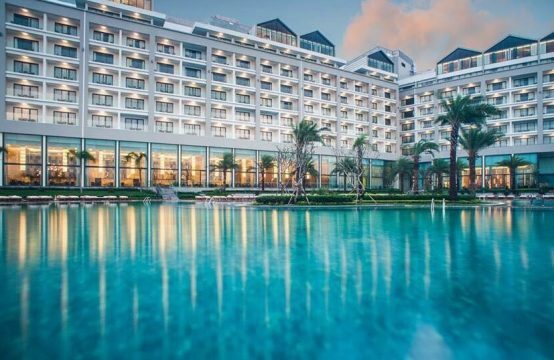 The most prominent of which the three sides of the Flora Fuji is embraces by two branches of the Rach Chiec river to bring a airy living environment with beautiful views and harmony with the natural landscape. 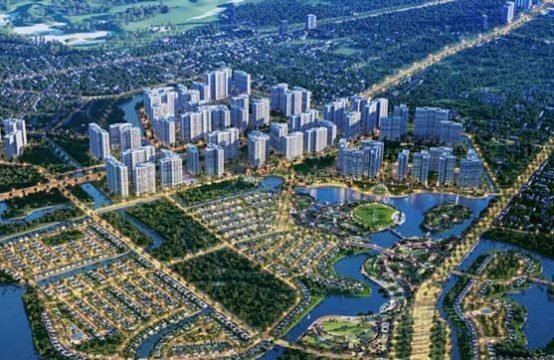 In addition, the construction density of the project is only 27%, the rest is entirely devoted to the park system, landscape lakes and utility services. This is an advantage of Condominium series with Japanese-style, special emphasis on creating ecological environment and fresh living space with green color of flowers. Along with living space, Flora Fuji apartments also provide for the residents with a full range of utility including a swimming pool, children’s play area, BBQ area, Green café, shopping mall, outdoor commercial area, laundry area, water park along with kindergarten, reading room. This contributes to creating a comfortable apartments and meeting the needs of the residents in the area of District 9 in Ho Chi Minh City. Flora Fuji Nam Long Apartment District 9 is becoming a new trend in the condominium series products on the market today, meeting the criteria of 3G is Green (living space), Greater (Raise the life) and Getable (within reach). The product is line in the midrange segment should only with on under 43.000$ can become the owner of the apartments are designed in Japanese style, area of use optimum and harmony with nature. Besides, Flora Fuji is also ideal for families with young children because of enjoying the natural environment and safe living space, children are also free to develop comprehensively. It can be said that Flora Fuji apartment project of Nam Long in combination with Hankyu Realty and Nishi Nippon Railroad is pioneering for Condominium trend of Japanese style apartments with new and separate facilities and extremely reasonable price. It can meet the needs of the family about an ideal living space and cozy family reunion and comprehensive development for children. What Are The Reasons To Choose Flora Fuji As Your Residence?